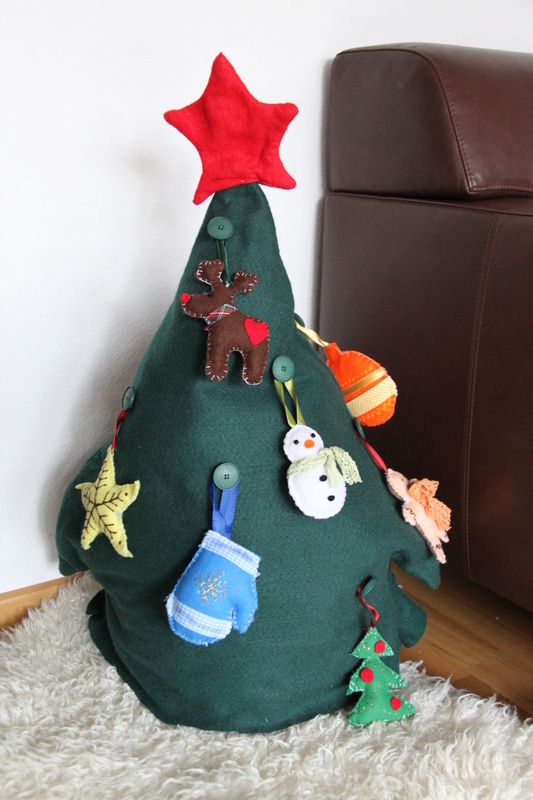 For this project I actually re-purposed a textile advent calendar that I found in the 1 Euro shop, since it was cheaper than buying the fabric and half the work was done. But you get the general idea - a green cone, on which you can randomly sew matching green buttons. I created several small soft felt toys to attach to the buttons, to make it baby- and toddler- proof. Your young kids will have their own tree to decorate, and maybe those nice crystal ornaments you have will survive another year :).